2Butter both sides of bread slices and toast the slices on both sides. 3Combine eggs, milk, sugar, vanilla extract and cinnamon. Mix well. 4Take a casserole dish and grease with butter. 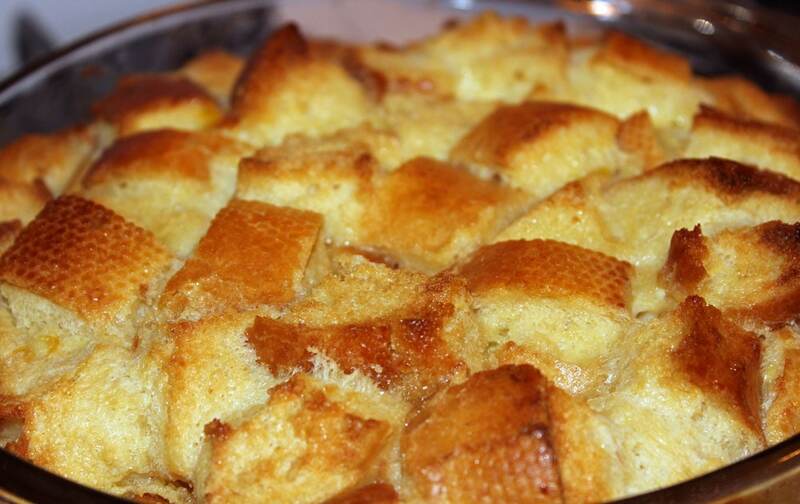 5Break up toasted bread, and arrange in the casserole dish. 6Pour egg mixture over bread. 7Bake 40 minutes. Serve hot or cold.